Obituary for Andrew F. Pfeufer | Lynch-Green Funeral Home, Inc.
Andrew F. "Andy" Pfeufer, 68, of 104 W. Theresia Road (also known as Zwack's Pond) died on Thursday, August 16, 2018 after a brave battle with cancer. He was born June 1, 1950, a son of the late Joseph B. and Edna M. Friedl Pfeufer. Andy was born and raised in St. Marys and attended St. Marys Parochial School. He graduated from Elk County Christian High School, class of 1968 and the University of Pittsburgh in 1972 with a B.S. Degree in Mechanical Engineering. After graduation, he worked for 7 years as a mechanical engineer at what was then the Worthington Steam Turbine Division of Wellsville, NY. He then returned to St. Marys to finish his career at Carbon Graphite in St. Marys and the Carbide Graphite Group. He was a life member of the American Society of Mechanical Engineers and the NRA, and was also a member of the St. Marys Sportsman's Club. 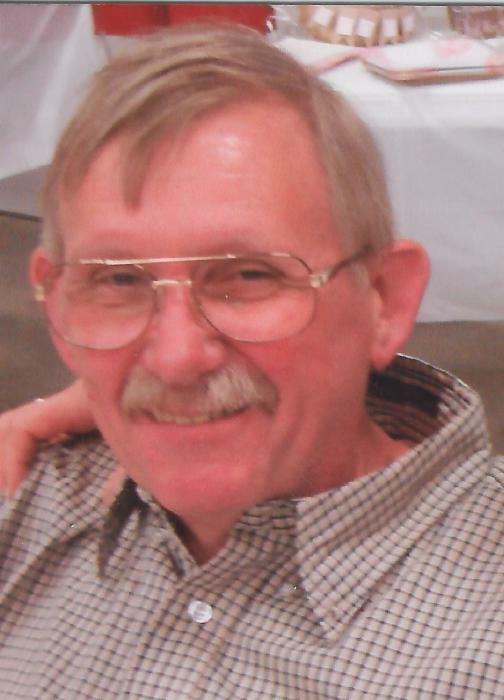 He was an avid hunter and fisherman and loved going to his "Camp Five" with family and friends. He especially enjoyed trips to Colorado hunting mule deer and elk with his friends Gerry, Fred, Kenny, Hector, Steve, Tom, and Eric. He also enjoyed hunting and fishing trips to Canada, as well as fishing in the Atlantic Ocean and Lake Erie. He is survived by three sisters, Ruth Kosmiski of St. Marys, Jane (Robert) Bennett of St. Marys and Joanne (Michael) Condon of Franklin, PA. He is also survived by his uncle, Francis Friedl, with whom he made his home, by several nieces and nephews, including Troy (Angie) Bennett, Lynn (James) Floravit, Jason (Keli) Kosmiski, David (Kaye) Bennett, Ian (Elizabeth) Condon, Devin Condon, and Breanne (Nick) Urman and by several great nieces and nephews, including Courtney, Maddox, and Barron Bennett, Emma Kosmiski, and Olivia Condon. He was especially fond of two great nieces who visited him often, Rachael Floravit, whom he nicknamed "Lucy", and Kaylie Bennett, whom he called "Maggie Mae". A Mass of Christian Burial for Andrew F. Pfeufer will be celebrated on Wednesday, August 22, 2018 at 10:00 AM at the Queen of the World Church, 134 Queens Road, St. Marys, PA 15857 with Fr. Jeffery Noble, Pastor, as celebrant. Friends and family will be received at the Queen of the World Church from 9:15 AM until the time of the service. Memorial Contributions may be made to Hahne Cancer Center in DuBois, Elk County Catholic School System, St. Marys Sportman's Club or to the Community Nurses Hospice.